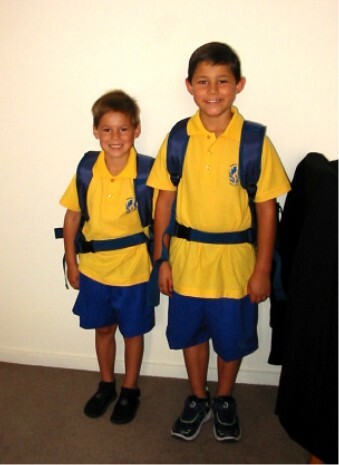 The Victoria schools have started again on 27 January and it was time for Adam and Ruben to get into the Ausie way of schooling - uniforms and all. They are in Serpell Primary school and they are really enjoying it. They still miss their friends from the American school in Rotterdam, but are starting to make some new friends. Guess they have no choice, because Surette's their class mom again.